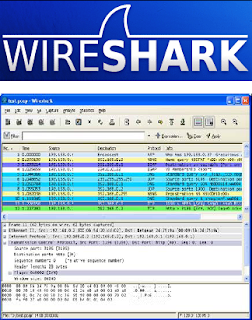 Wireshark is a network protocol analyzer for Unix and Windows. is a free and open-source packet analyzer. It is used for network troubleshooting, analysis, software and communications protocol development, and education. 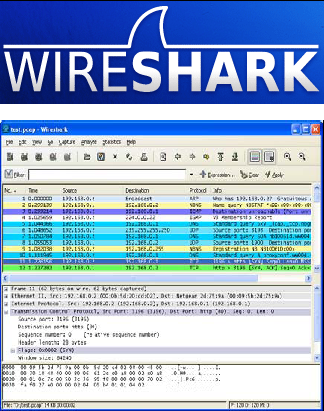 Originally named Ethereal, in May 2006 the project was renamed Wireshark due to trademark issues. is a Network Forensic Analysis Tool (NFAT) for Windows that can detect the OS, hostname and open ports of network hosts through packet sniffing or by parsing a PCAP file. NetworkMiner can also extract transmitted files from network traffic. is a portable network analyzer application for both LANs and WLANs which performs real-time packet capturing capability, 24x7 network monitoring, advanced protocol analysis, in-depth packet decoding, and automatic expert diagnosis. Capsa gives you a comprehensive and high-level window to your entire network, helps network administrators or network engineers quickly pinpoint and resolve application problems, Capsa has the most user friendly user interface and post powerful data packet capture and analysis engine in the industry. Capsa Enterprise is the most robust packet sniffer and packet analysis application available. Capsa's Overview Dashboard and drill down functionality makes it easy enough for a SOHO Network Manager but powerfull enough for a Distributed Enterprise Network Engineer. is a powerful network monitor and analyzer designed for LAN administrators, security professionals, network programmers, home users…virtually anyone who wants a full picture of the traffic flowing through a PC or LAN segment. Loaded with many user-friendly features, CommView combines performance and flexibility with an ease of use unmatched in the industry. is a collection of tools for network auditing and penetration testing. dsniff, filesnarf, mailsnarf, msgsnarf, urlsnarf, and webspy passively monitor a network for interesting data (passwords, e-mail, files, etc.). arpspoof, dnsspoof, and macof facilitate the interception of network traffic normally unavailable to an attacker (e.g, due to layer-2 switching). sshmitm and webmitm implement active monkey-in-the-middle attacks against redirected SSH and HTTPS sessions by exploiting weak bindings in ad-hoc PKI. is the network sniffer we all used before (Wireshark) came on the scene, and many of us continue to use it frequently. 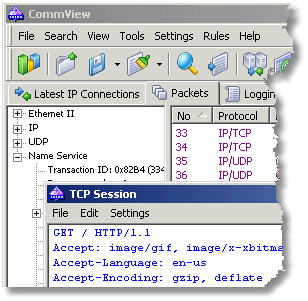 It may not have the bells and whistles (such as a pretty GUI and parsing logic for hundreds of application protocols) that Wireshark has, but it does the job well and with less security risk. It also requires fewer system resources. While Tcpdump doesn't receive new features often, it is actively maintained to fix bugs and portability problems. It is great for tracking down network problems or monitoring activity. LAN Networking monitoring can be performed at any point of time both manually, by the administrator and in an automated way. is very useful. I like the way you write article. good one.